Two al Qaeda leaders in Syria have rejected an alleged proposal that would reorganize jihadists and Islamists under a new military council. Al-Shami and al-Uraydi address their “brothers” in HTS. “We still hold to our convents of doctrine, methodology, and jihad, and you are our brothers in faith, regardless of our differences,” they write. Those “differences” include their rejection of a purported plan that would reorganize the insurgents’ efforts once again. 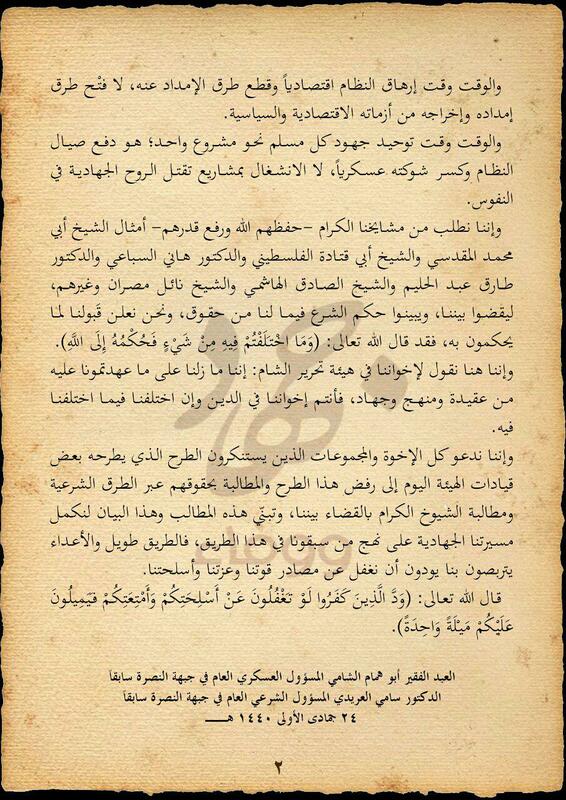 HTS leaders, and “especially” the group’s unnamed “military supervisor,” allegedly want to “form a military council under the leadership of one of the dissident officers of the [Assad] regime who are part of” either the so-called Free [Syrian] Army, or Faylaq al-Sham. The latter is an Islamist group allied with Turkey. The latter part could very well be a reference to Turkey’s interference in northern Syria — a matter that has long divided the jihadists. HTS has cut a deal with Turkey to allow its forces into Idlib province, but it may be that Turkey is looking to extend its influence over the insurgents. The two call on everyone who doesn’t approve of HTS’s plan to stand up in opposition. 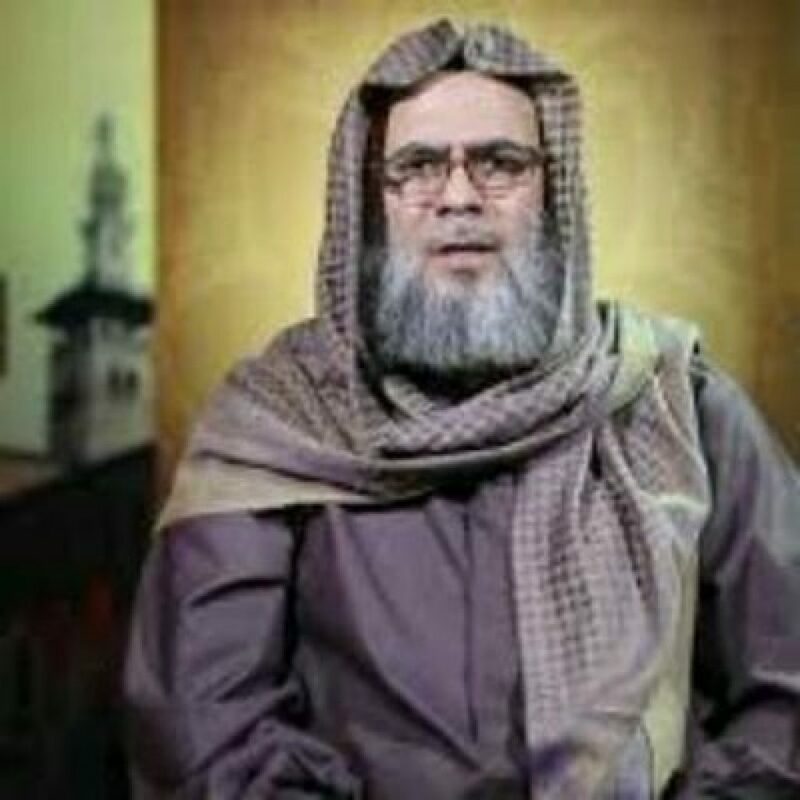 “We call on all brothers and groups who denounce the proposal put forth by some of the [HTS] leaders today, to reject this proposal, to claim their rights through legitimate means, to demand the honorable sheikhs judge between us, and to adopt and fulfill these demands and this statement so that we complete our jihadi march on the approach of those who preceded us in this path,” al-Shami and al-Uraydi write. Maqdisi and Abu Qatada live in Jordan and are often referenced in al Qaeda circles as religious authorities. So are Sibai (who lives in the UK) and Abdul-Halim (based in Canada). Those four, in particular, are known Zawahiri loyalists. Abu Hammam al-Shami and Sami al-Uraydi were at the center of a previous feud with HTS’s emir, Abu Muhammad al-Julani. All three were originally part of Al Nusrah Front, an official branch of al Qaeda until mid-2016. Julani was Al Nusrah’s overall emir, al-Shami a senior military official and al-Uraydi served as Al Nusrah’s senior sharia cleric. Despite being comrades-in-jihad, however, significant disagreements developed between the three. Their dispute boiled over in late 2017 and early 2018. Al-Uraydi, who accused Julani of breaking his bayat(oath of allegiance) to Zawahiri, was even detained by HTS at one point. The infighting forced the jihadis to form a council that could mediate their disputes. The two sides reportedly reached an agreement in early Feb. 2018, but al-Shami’s faction decided to submit the accord to ideologues for further review — seemingly backing out of the compromise. Sami al-Uraydi was featured in a June 2018 Hurras al-Din video. Al-Shami is thought to be the leader of Hurras al-Din, with al-Uraydi also serving in a prominent position. The group has not announced its leadership structure, however, so it is difficult to confirm these details. In June 2018, Hurras al-Din released a video titled, “The Path of the Defiant,” which featured footage of al-Uraydi, a sign that he is influential within its ranks. One of the key issues in the late 2017 involved possession of weaponry, and who was entitled to ownership of certain arms. Abu Hammam al-Shami specifically mentioned the issue at the time. Even though this matter was “among the issues [that] were disputed between us previously,” it was “unresolved until now.” And they demand that HTS turn over the arsenal they claim as their own. “We are in need of our weapons and our rights to complete our jihadist path, pursuant to the method and the way we have agreed upon,” al-Shami and al-Uraydi write. The two claim that the confiscation of weapons has inhibited the jihad in Syria in the past, and they blast HTS’s “project” as weak. “We have seen its blessings and good effects previously, away from projects that only add to the area more weakness, devastation, and scattering, especially after we saw the results of confiscating the weapons from the Mujahideen at the hands of the State Organization [ISIS], Jaysh al-Islam, and others,” they argue. Hurras al-Din displayed some of its weaponry in a Jan. 26 video showing a large convoy being deployed to the front lines. It isn’t clear what weapons are in dispute. It is possible that al-Shami and al-Uraydi want heavy weaponry that HTS has withheld. Hurras al-Din has been fighting on several fronts and the group has displayed some of its arms in photos and videos. In one video, released on Jan. 26, Hurras al-Din showed a large convoy being dispatched to the front lines. Some of the vehicles carried arms mounted on the backs of trucks. See, for example, the image above. HTS has been at the center of controversy within the jihadists’ ranks almost since the day it was established in Jan. 2017. HTS has suffered from defections and infighting. The previous dispute involving Abu Hammam al-Shami, Dr. Sami al-Uraydi and others forced al Qaeda’s senior leadership to intervene. Although al Qaeda’s senior leadership and others have repeatedly called for “unity” within the insurgency, the disagreements continue. “It is the time to unify the efforts of every Muslim towards one project, which is to push away the regime and break its military stature, and not to engage in projects that kill the jihadist spirit in the souls,” al-Shami and al-Uraydi write. 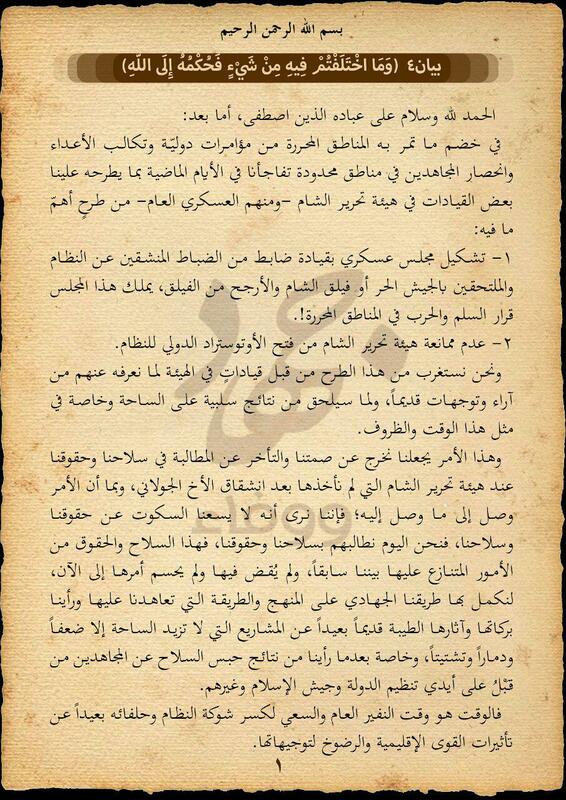 *This piece is based on the statement by Abu Hammam al-Shami and Dr. Sami al-Uraydi. It is certainly possible that HTS sources have a different account. Thomas Joscelyn is a Senior Fellow at the Foundation for Defense of Democracies and the Senior Editor for FDD’s Long War Journal.